Give someone a bright and sunny flower arrangement that will completely make their day. This beautiful bouquet is filled with sun-colored flowers and offers a true testament of cheer and well-wishes. 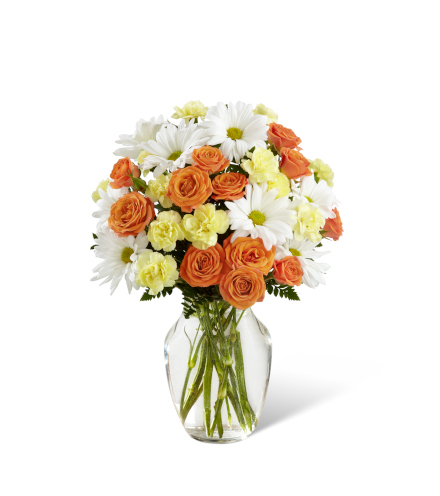 A colorful array of orange spray roses, yellow mini carnations, white daisies, and fresh greens will add a unique style to any home or office.